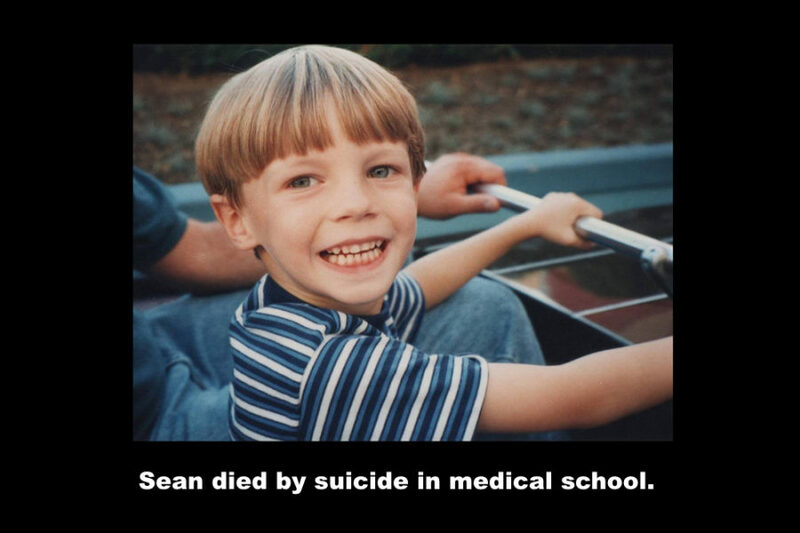 Cheryl lost her son Sean to suicide in medical school. Just a few months ago. Her only child. Cheryl didn’t know that medical students were at high risk of suicide — until her son was dead. Nobody warned her. 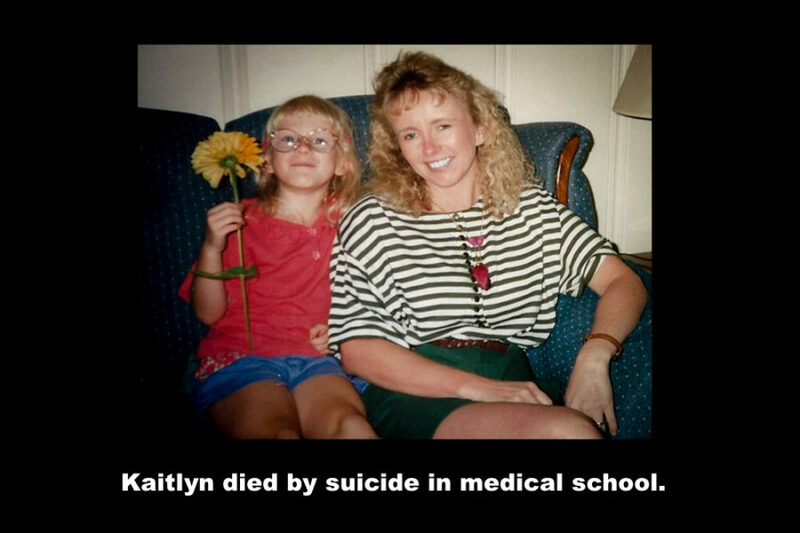 Rhonda lost her daughter Kaitlyn to suicide in medical school. Unable to recuperate from the pain of her daughter’s suicide, Rhonda died by suicide one year later. Rhonda didn’t know that medical students were at high risk of suicide — until her daughter was dead. Nobody warned her. 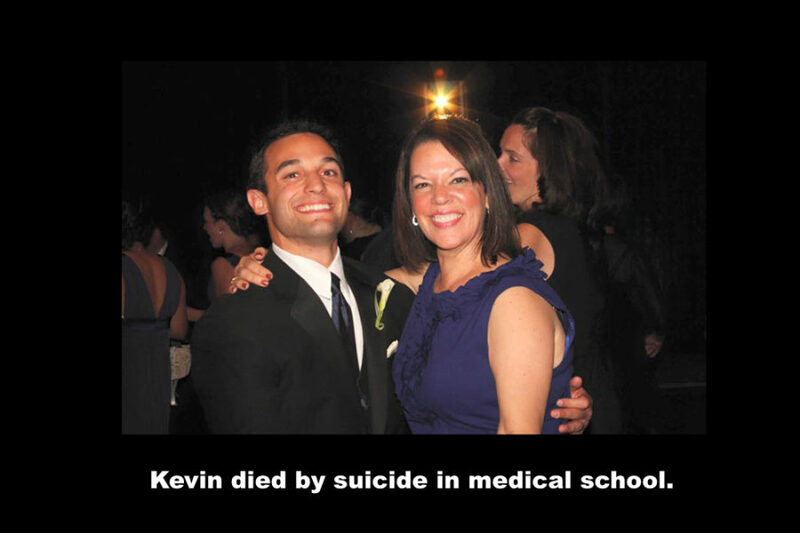 Michele lost her only son Kevin to suicide in medical school last year. Just three weeks before he was to graduate. Instead of celebrating her son’s graduation, she attended his funeral. Michele didn’t know that medical students were at high risk of suicide — until her son was dead. Nobody warned her. I was severely depressed in medical school. I lost both classmates I dated in med school to suicide. Suicide is an occupational hazard for medical students and physicians. Recently, I started a support group for parents who lost their children to suicide during medical training. They all wonder why nobody warned them of the hazards of a medical education. If someone had warned them, maybe they could have saved their children’s life. Cigarettes, cigars, chewing tobacco all come with a Surgeon General’s Warning. Why not medical school? If medical school came with a Surgeon General’s Warning, what would it be? I posed this question to medical professionals. Here’s what they told me. Informed consent is required in medicine. Everyone deserves to be informed of not only the health risks of using tobacco; they also must be informed of the health hazards inherent in the medical profession. Do you agree? Next post > What is essential professional dress in health care?